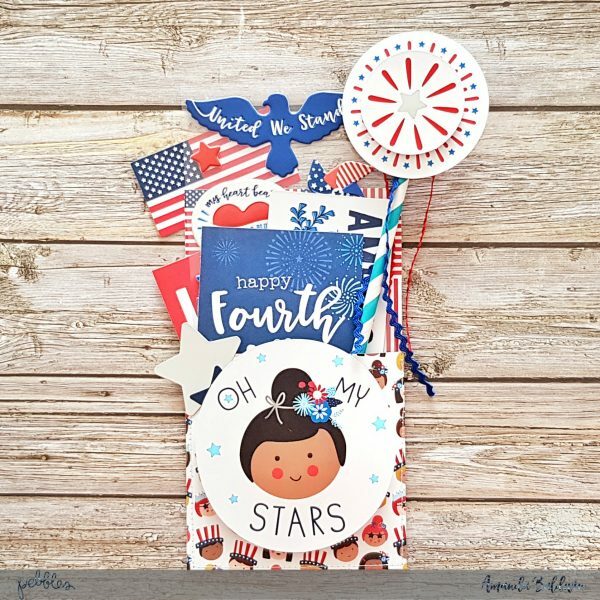 4th july Archives - Pebbles, Inc.
Pocket Letter Boredom Solver with Amanda! Pocket letters come in many shapes and forms, and are tons of fun to make! 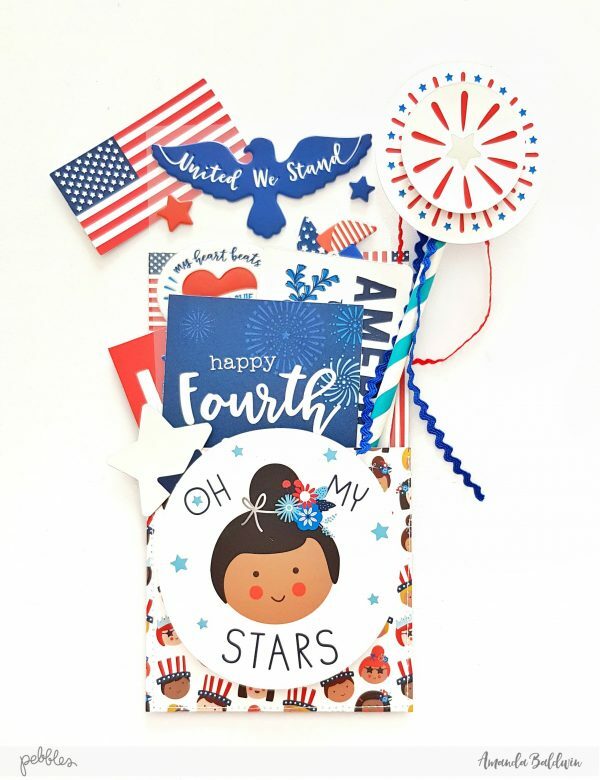 I thought children who suffer Summer Break boredom in the USA could get ahead with their 4th July crafts, and make a start on their classmate gifts! Here’s what I came up with……. Oh so much fun! 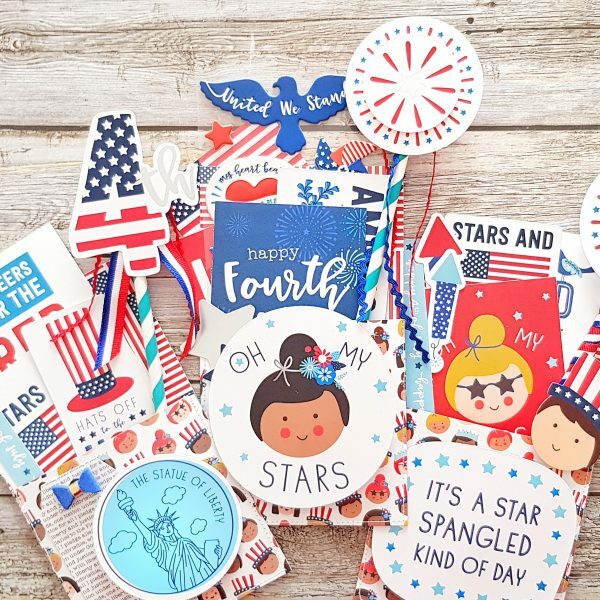 And depending on the recipients, you could also add your favorite candy, party whistles, sparklers – the possibilities are endless! 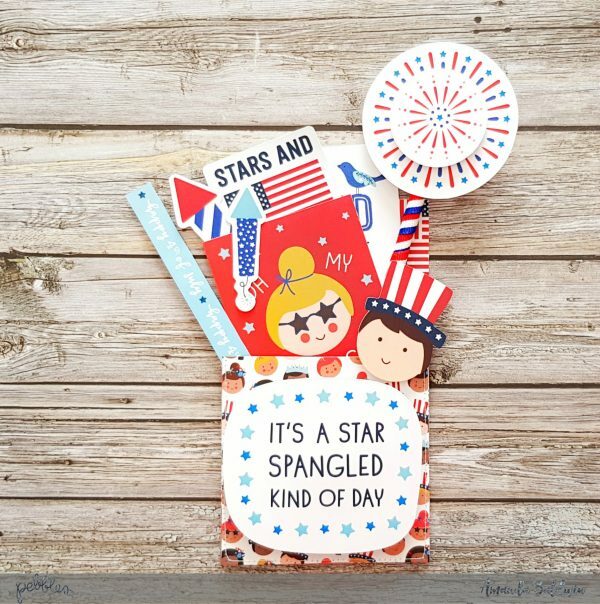 Fill them with letters & note cards, and encourage children to celebrate old fashioned snail mail! What a fun package to receive! Here’s how to create them…. 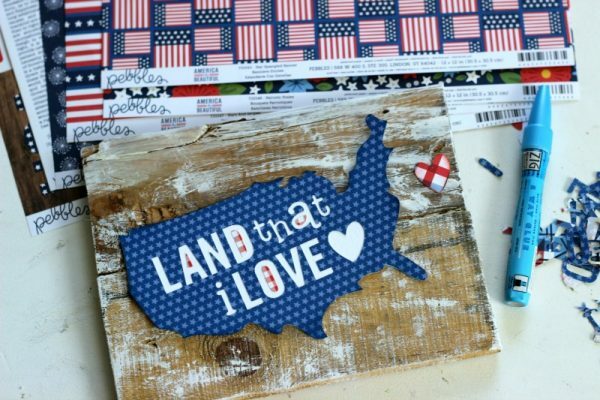 Start with your favorite supplies from the Land That I Love collection. 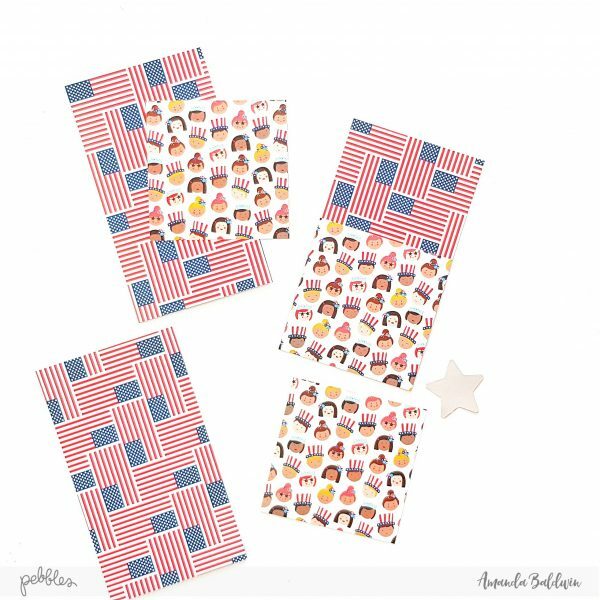 You’ll need at least two sheets of pattern paper, as well as some Printed Cardstock Shapes (ephemera), and stickers. I chose papers, Oh! The Places We Go! & United We Stand for my samples. To create the pockets, start by trimming the pocket bases 7″ long x 4″wide. You’ll get three bases from one sheet of paper. Next, trim the pocket fronts 4″ x 4″ square. Position the fronts on top of the bases, and machine stitch into place. 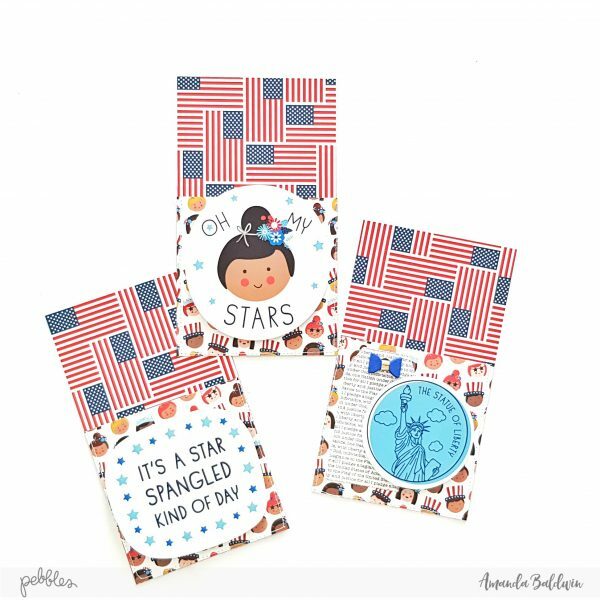 Remove excess threads, and embellish the pocket fronts with Printed Cardstock Shapes. I used Adhesive Foam Dots to make my shapes really ‘pop’ on the pocket covers. Super cute pockets made in a minute. And because they’re so easy to make, your bored children should be able to create one for every classmate in less than an hour! Yay! Making pockets is quick & easy, but filling them is by far the best part! Here’s a few ideas on what you could add to yours….. These fun wands are a great addition! 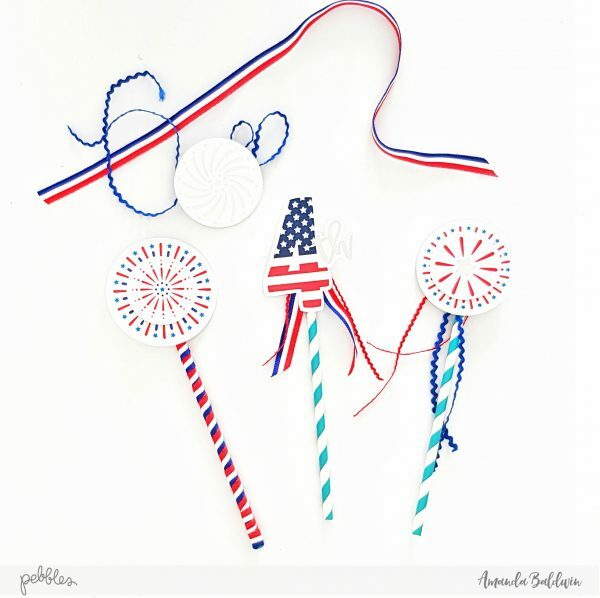 Use coordinating paper straws (or wrap ribbon around plastic straws) for the wand handle. 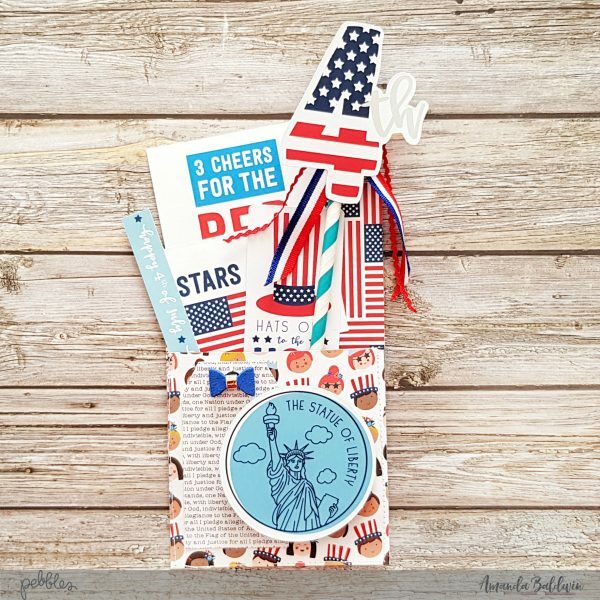 Hot glue Printed Cardstock Shapes or Dimensional Star Rosette Stickers & ribbon tassels to create the tops of the wand. Perfect for waving during the parade! How about a note card, or sentiment? I cut apart pattern paper Land That I Love & attached handwritten notes to the backs of these 3 x 4 cards using washi tape. Stuff your pockets full of fun treats! 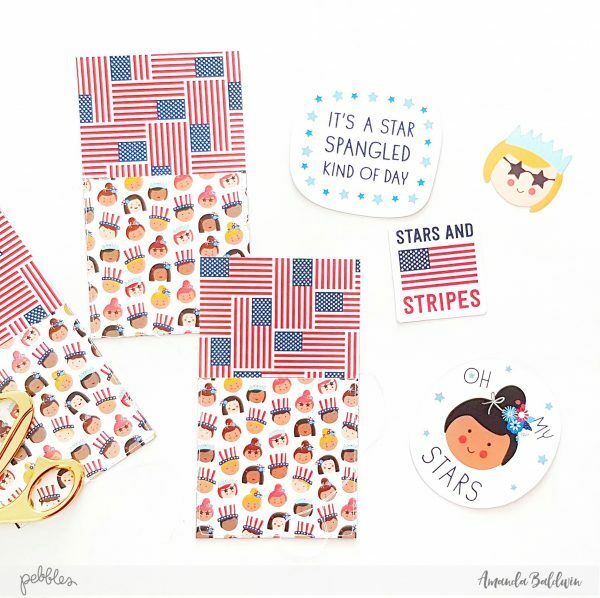 Candy, party whistles, pencils….. I even cut apart my Puffy Stickers and 6 x 12 Cardstock Stickers and popped some of them in too! 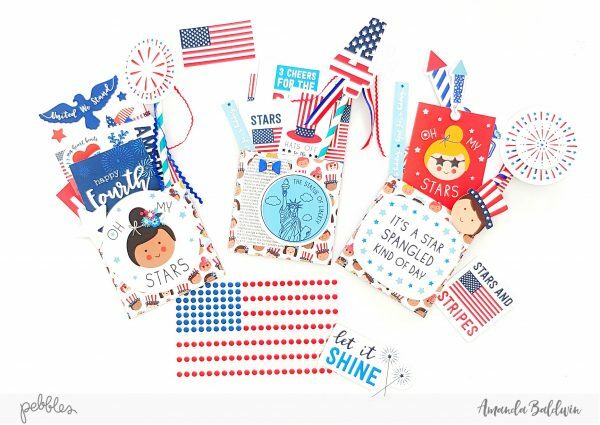 Some seriously fun mail that I think your children will love creating! Maybe you could surprise them with a special one that you’ve made for them too?! 😉 Everyone loves receiving happy mail! Here’s a few close ups for you…..
Oh gosh! Does snail mail get any cuter than this?!! 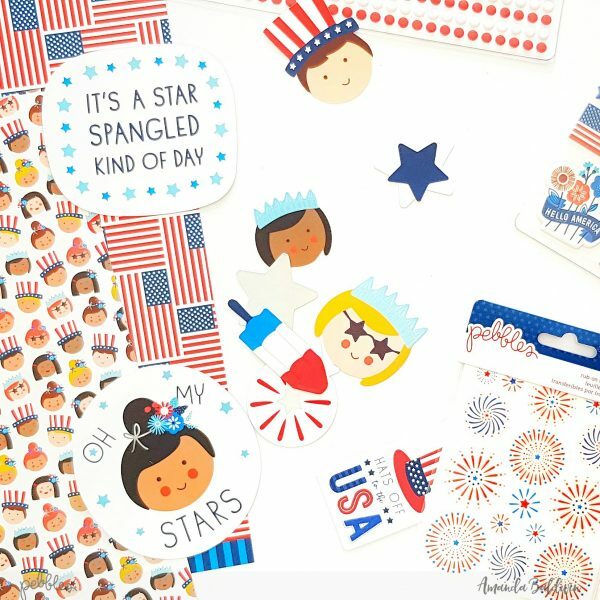 I love the inclusion of those fabulous Puffy Stickers! Those fireworks!?!! Gor-jus! I hot glued a tiny paper clip to the back of mine so they can be used in TNs & planners! 3 Cheers for the Red, White & Blue!!! Love this so much! And there you have it! 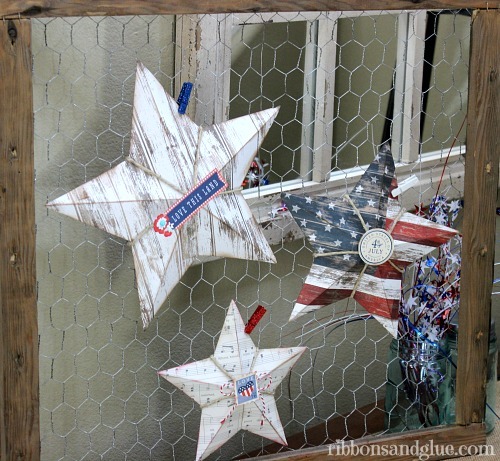 A Summer Boredom Buster that’s as fun to make as it is to receive! I hope you and your children will enjoy creating these Pocket Letters! 733792 Oh! The Places We Go! Hello Pebbles Fans! 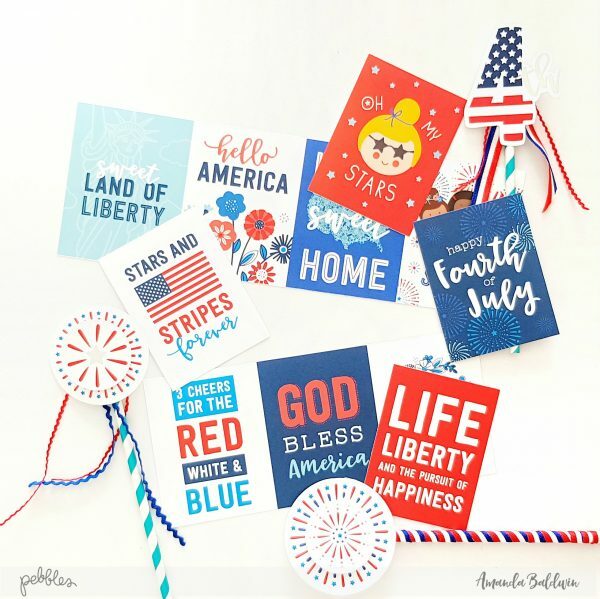 Holly here from Ribbons & Glue sharing a Patriotic Pallet Sign made with the America the Beautiful collection perfect to display for those Summer holidays. 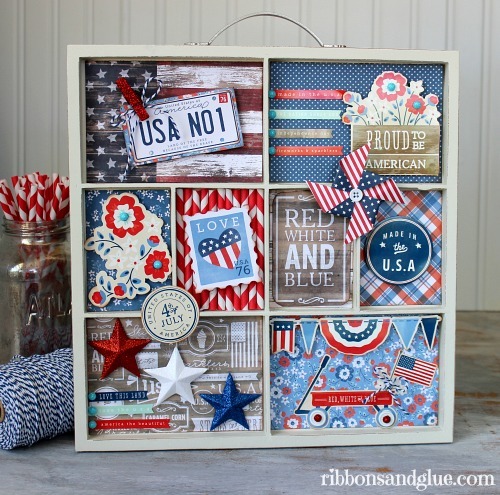 I don’t know about you but I love red, white and blue projects. Toss in a little bit of rustic wood and it’s game over for me. 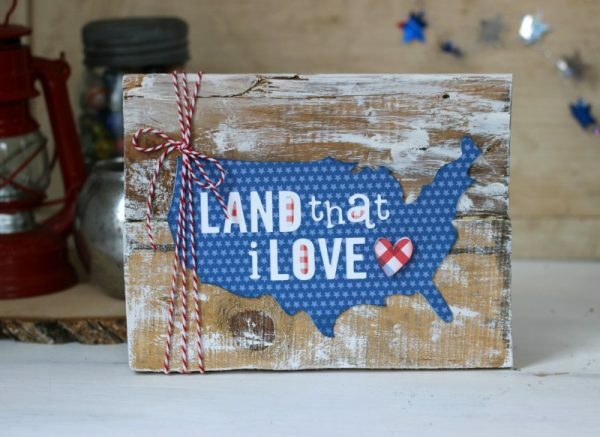 This Patriotic Pallet Sign is exactly the perfect combination that I love of rustic red, white and blue. This Pallet Sign is made from two pieces of scrap pallet wood that I adhered together then gave the wood some dry brushing with white paint. 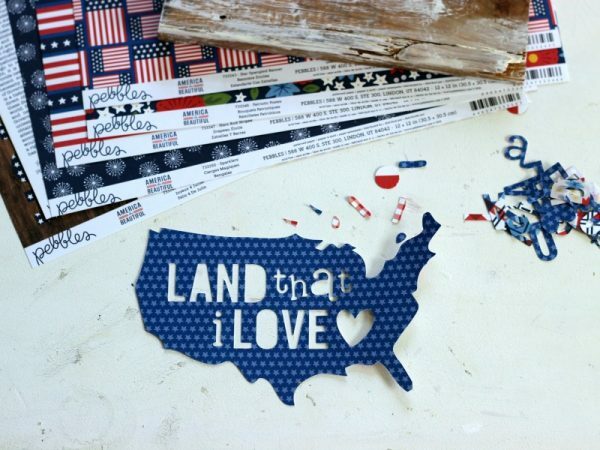 Next, I used my Silhouette CAMEO to cut out a Land that I Love shape using America the Beautiful patterned papers. I assembled the layers of the map together using a glue pen and adhered the map on to the pallet using hot glue. 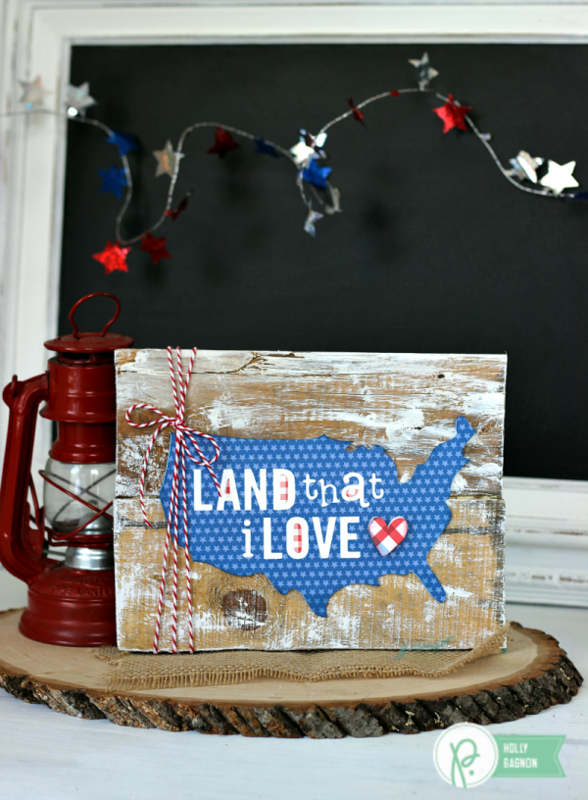 I love the way this Patriotic Pallet Sign turned out. I know adhering paper on to wood isn’t typical but, I find it an easy way to reuse my pallet wood signs for other holiday seaons.